" (Tutor) is great. The girls like him, feel he teaches the material well, and best of all, really feel that the tutoring is helping. They both got 96's on their last test! " "Thank you for your selection of ________, her and _____ were able to develop a friendship during their working relationship. And I believe that she was able to impact her thoughts on college life." "I called _____ full of enthusiasm yesterday on the way home. _____ has earned a "C" on his 2nd quarter report card for honors geometry! I've never cheered for a "C" before. In fact, I have vivid memories of sobbing over a "B" I'd earned on a paper in high school - and it wasn't even a final grade! Nevertheless, I'm filled with praise and thanksgiving for the Lord's faithfulness and gifts of increased understanding and wisdom! Thank you for what you're doing through Braintrust Tutoring." Geometry requires a different set of fundamental skills which many students initially find difficult. It is critical, however, that these skills be fully understood, as geometry questions are truly one of the biggest portions of the SAT and ACT mathematics tests. Often, trouble is found at the 'proofs' stage, or sometimes with the three-dimensional problem-solving and spatial relationships found in the average geometry curriculum. BrainTrust tutors make use of real-world examples to help students grasp the core conceptual knowledge they need to succeed. Students seeking careers in graphic design, engineering or architecture will be able to not only adapt, but appreciate their surroundings more when they have an understanding of abstract, geometric concepts. 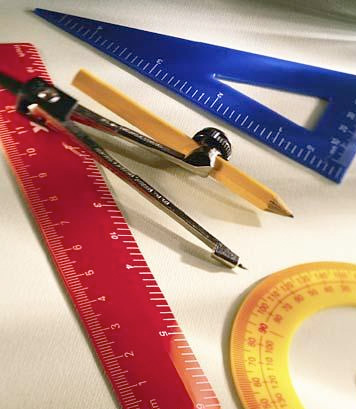 For more information about Geometry programs, call to speak with a representative at (919) 844-2022.